Hello! 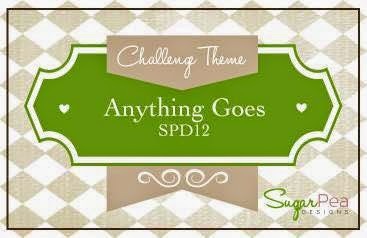 It's time for a new challenge at SugarPea Designs and this time Anything Goes! 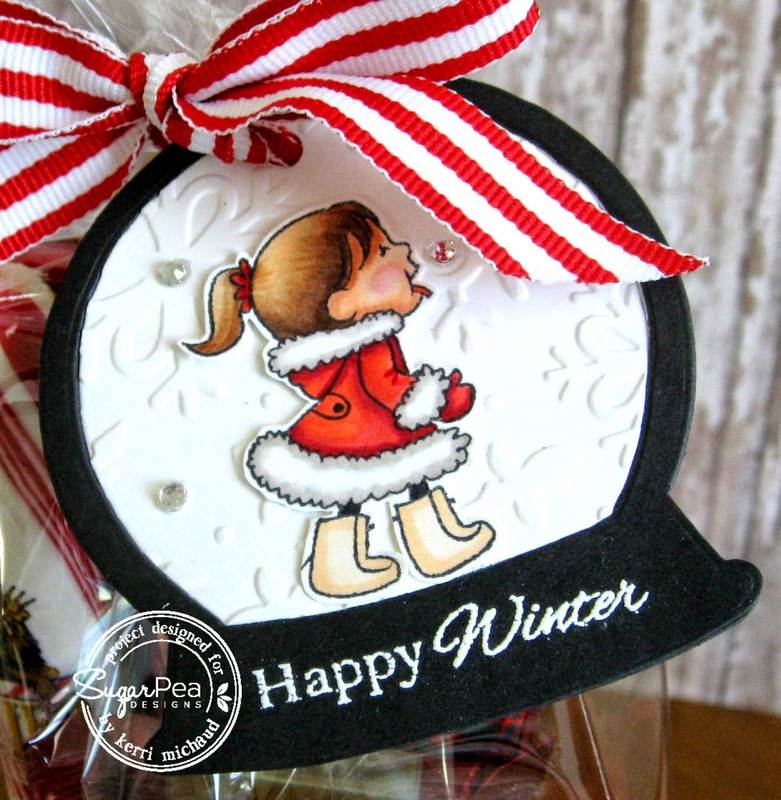 I made a tag using this darling little gal from the set Frosty Friends. I stamped her with Memento Tuxedo Black and colored with Copics. I cut her out and popped her up over my snow globe. 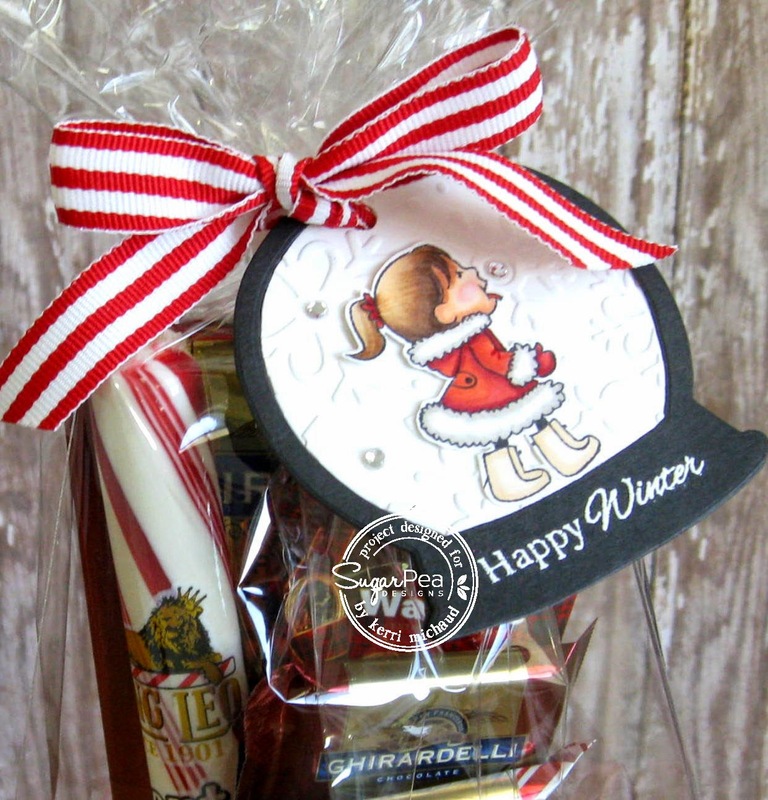 The sentiment was embossed onto the base using VersaMark and white embossing powder. I also added a few rhinstones for the snowflakes. What an adorable tag Kerri. Love how you used her alone with her tongue out to catch snowflakes.